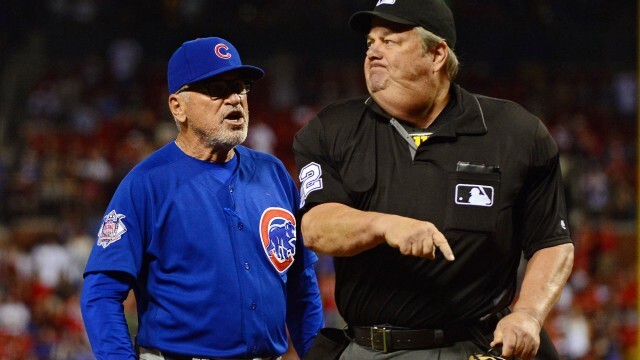 Baseball players and managers griping about the home plate umpire’s calls is just part of the game, but a new Boston University study found they’re right to complain a lot more than you might think. The study analyzed nearly four million pitches in Major League Baseball over the last 11 seasons and found that the umpires got the ball and strike calls wrong at least 20% of the time, which is one in every five calls. The experience didn’t seem to help, with the higher error rates actually coming from older, veteran umpires, not the younger, less experienced ones. While MLB has introduced instant replay for some umpire calls, they’ve resisted doing so for calling balls and strikes. But the researcher who led the study suggested umpires could use earpieces connecting them to a control center that would provide a real-time ball and strike information, so calls could be made correctly while keeping traditional parts of the game like signs, signals, and sounds from the home plate umpire. He also suggests they could have the ability to override in certain circumstances.